Prepare to drool. In El Paso, finding Mexican food is like finding sand on the beach. Now, finding the best Mexican food is akin to asking a nerd in a superhero cape at a comic book convention who is the greatest superhero. Are we talking breakfast food? How about lunch and dinner? Please do not forget dessert and the great category of foods that could be both dessert and breakfast. That’s just talking about El Paso cultural foods, then there’s Texas barbecue cooked in El Paso to include heavy Mexican influences such as tampiqueña steak and tacos de buche and tacos al pastor. Regardless of where to find these fantastic meals, someone’s mother does it better and someone else has a relative who owns a restaurant that can provide a discount (even if it’s just for your drink order). What few El Pasoans realize, however, is that the best wholesale Mexican food ingredients make the greatest dishes. Menudo requires tripe, commonly referred to as tripitas. That is not only common knowledge, it is the very reason for the dish. Chicharrones require pork skin. Enough said, there’s no other way to do it and still maintain the name. Tacos on the other hand, can be made with literally everything, (although enthusiasts claim buche is the best meat for corn tortilla tacos). When making these Mexican food staples, finding the best possible wholesale Mexican food ingredients is key. Tripe must be cleaned of fat, but not too much so that it does not lose flavoring, and chicharron pork skin must be dried in order to be fried, (hot sauce optional). Butchers in town either know and respect these rules, or they do not. Purveyors of the finest Mexican cooking will know where the best products are sold and by whom (don’t argue with abuelita, it won’t end in your favor). 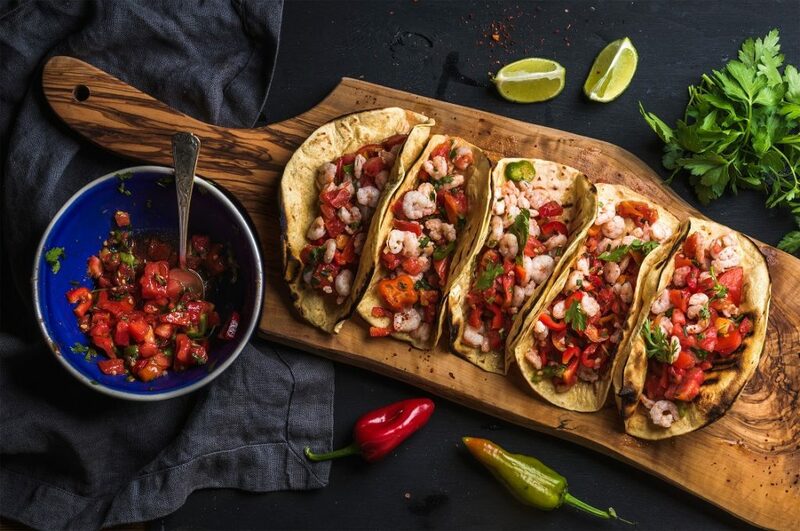 Productos Real is a quality wholesale Mexican food manufacturer, providing restaurants and private individuals with the finest ingredients, ranging from great tripitas to chorizo and buche. Customers are able to buy wholesale, saving money on buying and time on preparation and cleaning. At Productos Real, ready-made, and ready-to-make products are a specialty, allowing restaurants and the average home cook the chance to savor the cooking process with as little stress as possible. Contact Productos Real and get cooking today!